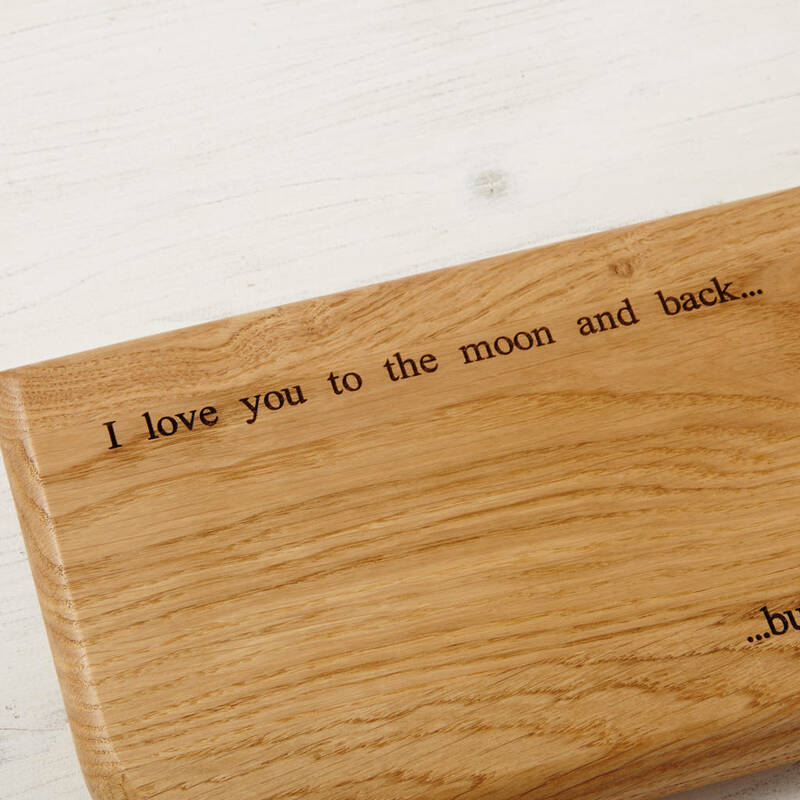 A beautiful handmade personalised oak serving board, chopping board or cheese board that can be personalised with a message or messages of your choice. 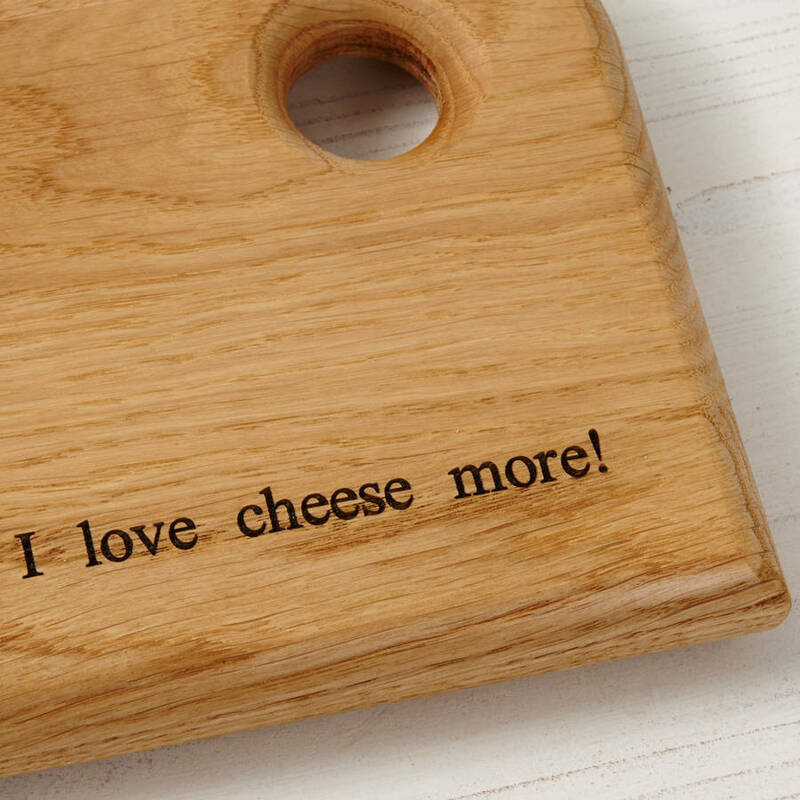 A thoughtful Mother's Day, wedding or 5th wedding anniversary gift or for a cheese lover on their birthday our contemporary serving boards are a solid inch thick and hand crafted to the highest standards. Each straight edge, curve and radius is lovely crafted by us in our studio workshop on the North Wales coast and carefully engraved and prepared with your choice of personalised message. Used as a cheese board, chopping board or a serving board for antipasti they would make a lovely addition to any kitchen or work surface on their own or as a set. Personalised engraving: There are plenty of examples of engravings for inspiration or you can add your own unique message. 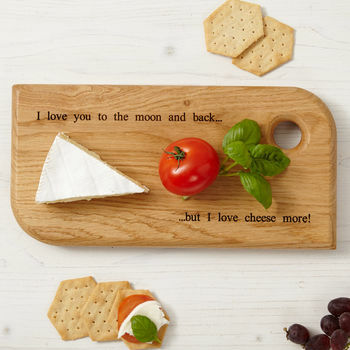 Of course you can add anything you want and for any occasion, name, date or a funny quote. You can choose to add to the top, bottom or both. Solid oak, finished with food safe protecting oil. Laser engraved personalisation. 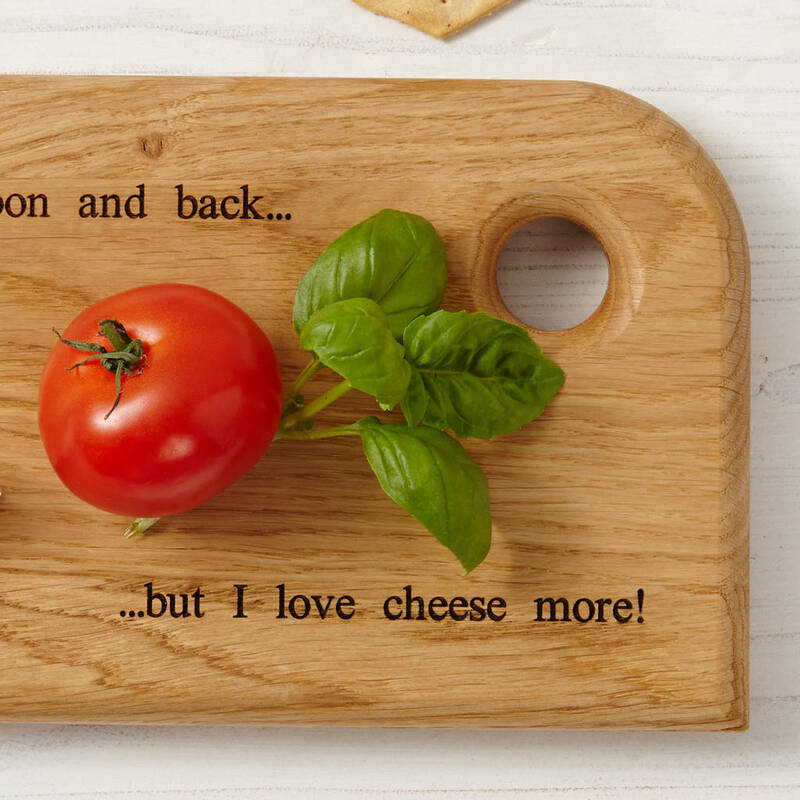 Your Mijmoj chopping board has been oiled with food safe oil and to maximise its durability and maintain its beauty will need oiling periodically in the future with similar food safe oil. Wipe clean all surfaces, do not immerse the board in water or wash it in a dishwasher or submit the chopping board to significant changes in temperature, for example, by placing it on a stove or radiator. Small: D2.5 x W15 x L30cm approx.